I want to cancel my QODBC Online monthly subscription. How to cancel the subscription of QODBC Desktop Driver for QuickBooks Online? 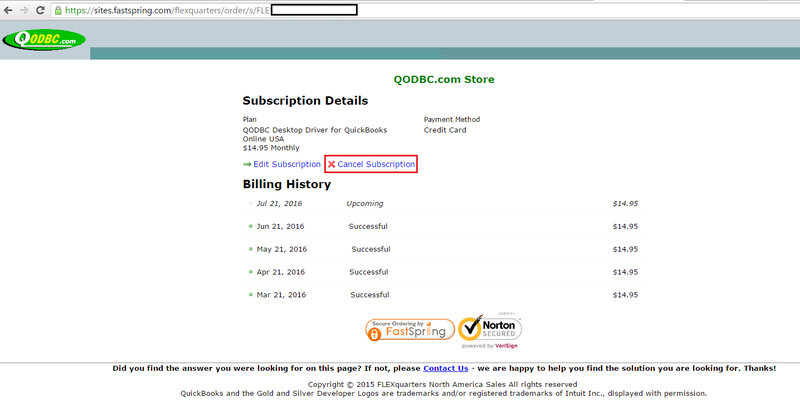 You can manage the subscription of QODBC Online using the link which you received in your renewal email. You will find the link as below in your renewal email.